How to identify SQL performing poorly on an APEX application? Oracle Application Express (APEX) is a great tool to rapidly develop applications on top of an Oracle database. While developing an internal application we noticed that some pages were slow, meaning taking a few seconds to refresh. Suspecting there was some poorly performing SQL behind those pages, we tried to generate a SQL Trace so we could review the generated SQL. 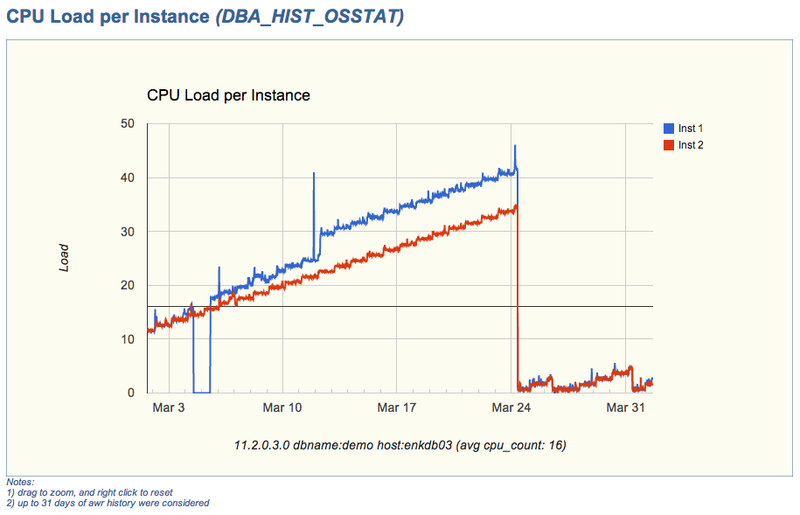 Well, there is no out-of-the-box instrumentation to turn SQL Trace ON from an APEX page… Thus our challenge became: How can we identify suspected SQL performing poorly, when such SQL is generated by an APEX page? 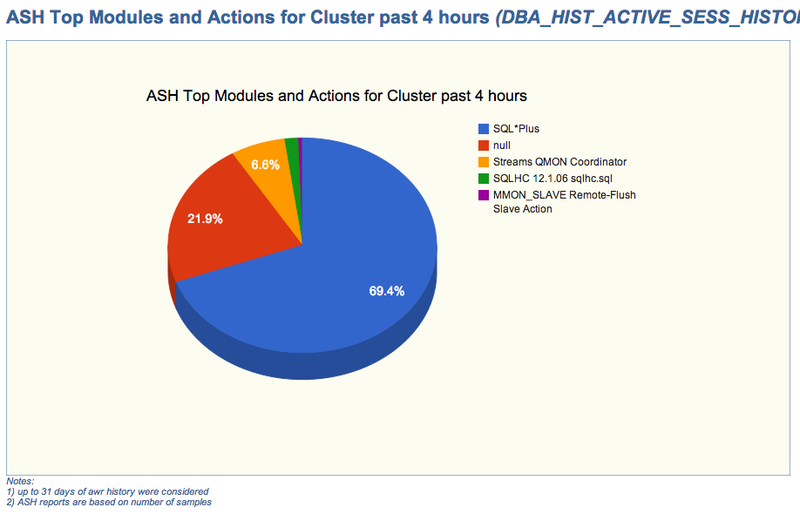 Active Session History (ASH) requires an Oracle Diagnostics Pack License. If your site has such a License, and you need to identify poorly performing SQL generated by APEX, you may want to use find_apex.sql script below. It asks for an application user and for the APEX session (a list is provided in both cases). It outputs a list of poorly performing SQL indicating the APEX page of origin, the SQL_ID and the SQL text. With the SQL_ID you can use some other tool in order to gather additional diagnostics details, including the Execution Plan. You may want to use for that: planx.sql, sqlmon.sql or sqlash.sql. Note that find_apex.sql script also references sqld360.sql, but this new tool is not yet available, so use one of the other 3 suggestions for the time being (or SQLHC/SQLT). To find poorly performing SQL, script find_apex.sql uses ASH instead of SQL Trace. 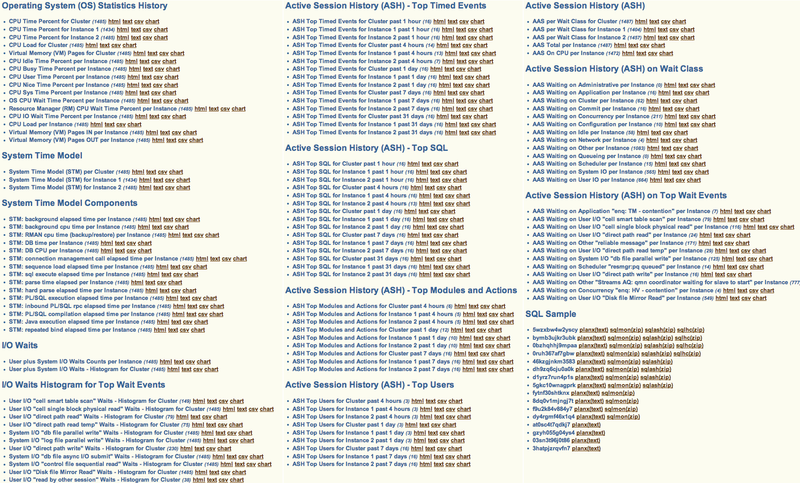 If the action on a page takes more than a second, then most probably ASH will capture the poorly performing SQL delaying the page. -- performing SQL statements for further investigation with other tools. -- Notes: Developed and tested on 11.2.0.3. -- Requires an Oracle Diagnostics Pack License since ASH data is accessed. -- (or planx.sql or sqlmon.sql or sqlash.sql). This script as well as some others are now available on GitHub. What is new with EDB360? Many things, but most important is that it got bigger and better. This EDB360 free tool provided is maturing over time. 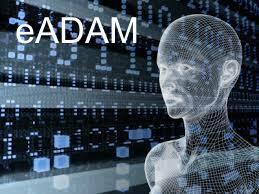 Its core function has not changed although, which is to present a 360-degree view of a database (10g or higher). EDB360 is a nice complement to other tools like Exacheck, Raccheck or Oracheck. It has some additional benefits, like taking a snapshot of a system to then be analyzed offline or simply to preserve this snapshot as a baseline. Keep in mind that EDB360 does not install anything on the database, nor it changes any data on it. In some cases, where direct access to the database server is not an option, having the capability of executing EDB360 through a SQL*Plus client connection is a big plus. I use EDB360 as a starting place to perform a whole database health-check. Since pictures tell more than words, please find below 4. The first two are about the new entries on EDB360 main menu (menu is a tad bigger than what you see in these two pictures, and its content is dynamic). The last two pictures are just a sample of the charts that are now part of EDB360. Oracle Pack License: If your site has the Tuning Pack, then enter ‘T’, else if your site has the Diagnostics Pack enter ‘D’, else enter ‘N’. Days of History to consider. If you entered ‘T’ or ‘D’ on first parameter, then specify on 2nd parameter up to how many days of history you want EDB360 to use. By default it uses 31, assuming your AWR history is at least that big. Do you want HTML Reports? By default it is ‘Y’. Do you want Text Reports? Defaults to ‘Y’. Do you want CSV Files? Defaults to ‘Y’. Do you want Charts? Defaults to ‘Y’. If you have downloaded EDB360 before, then I encourage you to download and test the new version. If you have never used it, I hope you find this tool useful.